Order from current in stock print for Wylie Elite Only - Stock levels are set at the number available. If out of stock, reprint requires a minimum of 5 pair, cost is $27.99 per pair. The shoe slip-on is made from thick lycra material which stretches over the cheer shoe. the sole is made of a tough vinyl that stands up to different surface types, ADA slip resistant. 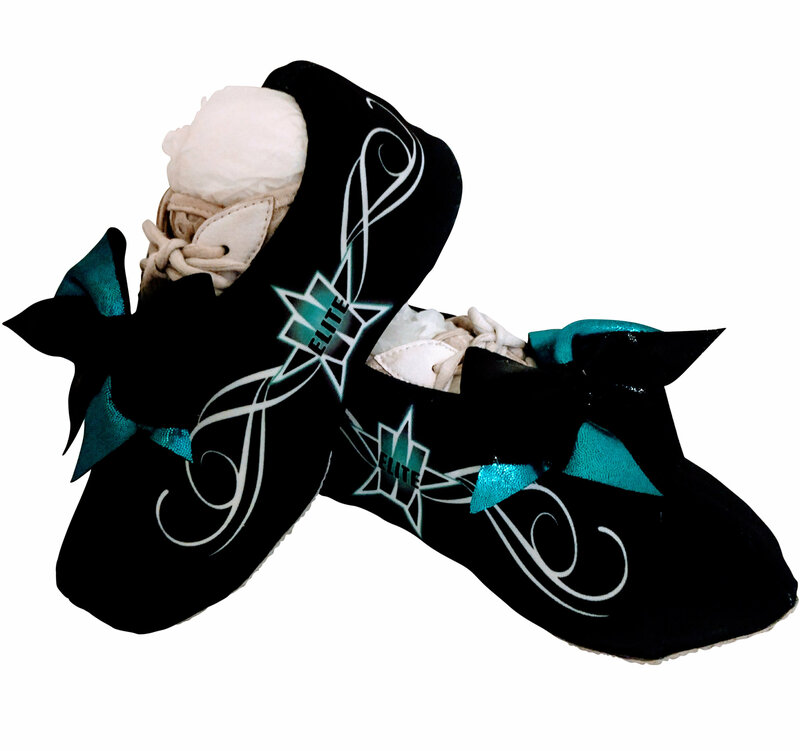 The bow is detachable, can be made in any color scheme to coordinate with costumes or uniforms. Also available in colored shoes & plain black.